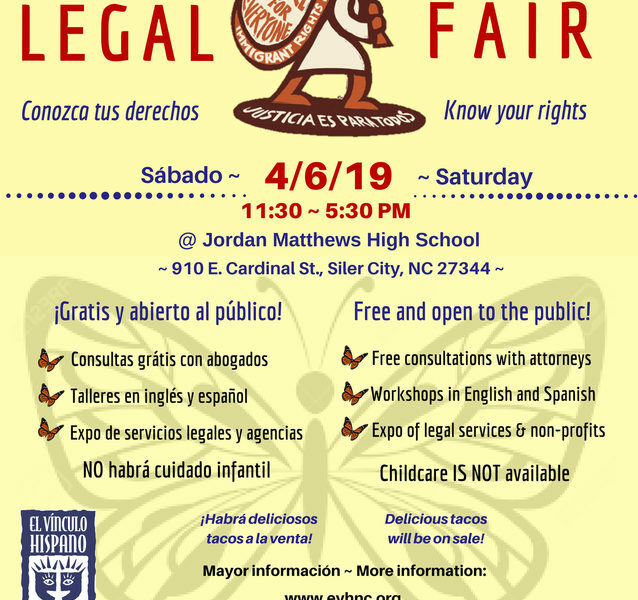 The Legal Fair will offer 7 workshops (see below), an Expo of legal services, consulates and agencies, AND free consultations with attorneys. Law enforcement leaders will share information and answer questions from the audience. 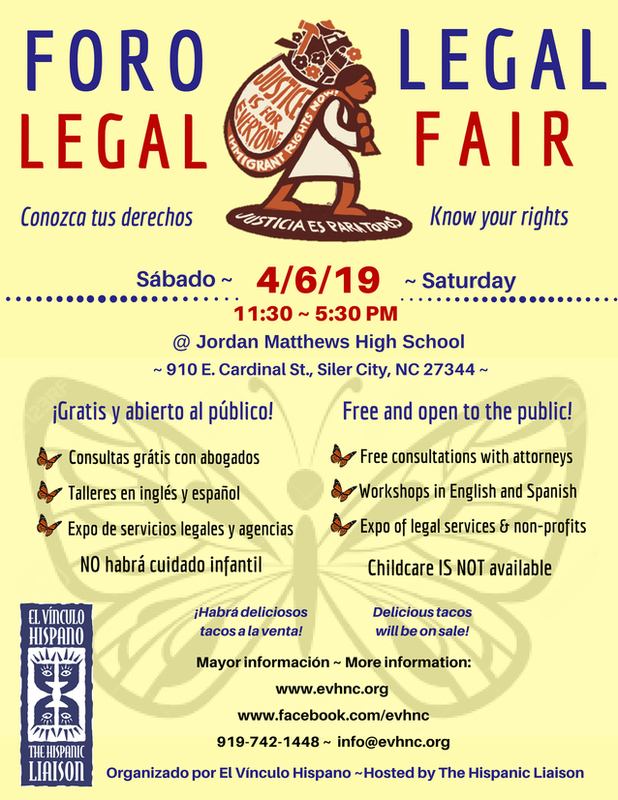 Information about ICE raids, immigrants’ rights and pending anti-immigrant legislation in North Carolina. Information about divorce and child custody issues. Information about tenant’s rights and fair housing laws. 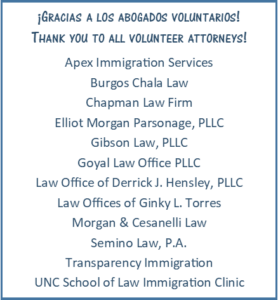 Information about immigration laws, the recent ICE raids and how allies can support immigrants’ rights. A safe space for Latinx youth to talk about issues that affect their lives, learn about resources and strategies for taking action to advance immigrants’ rights. 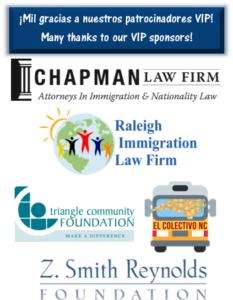 How to protect your family in case of deportation and powers of attorney. If you want a power of attorney, you must attend this workshop to register for the free legal clinic on 6/15/2019.